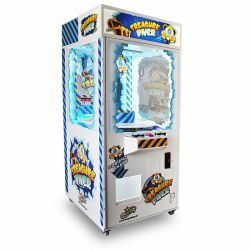 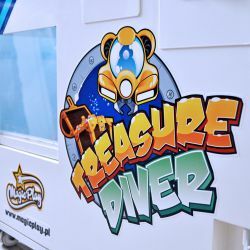 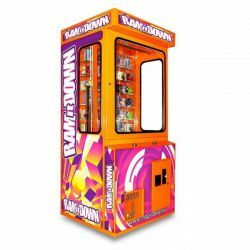 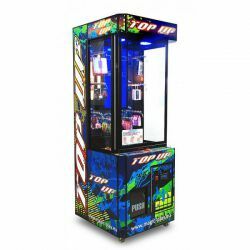 Dimensions (DxWxH) 32" x 79" x 32"
Packing 40" x 87" x 40"
The Treasure Diver game machine has the range of 4 rings that vary in diameter, from “easy to hard” and the operator determines which ring to use based on the value of the prize. 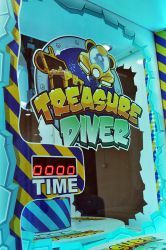 Player controls the movement of the rotary wheel and the sliding figure of the deep diver. When the diver's solenoid is placed exactly over the prize ring and the countdown is over, the solenoid dives down and picks up the prize (or not). 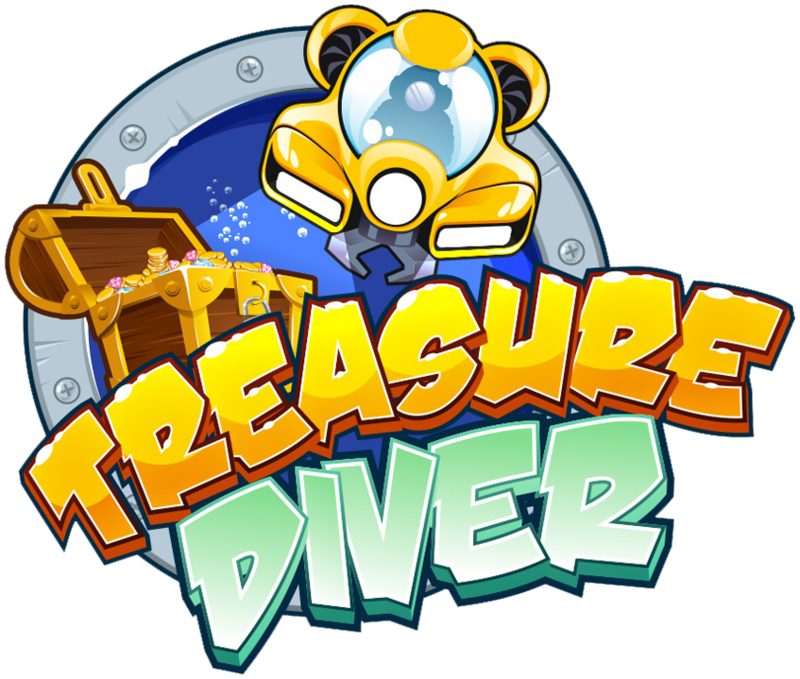 Then the diver carry the prize to the central hole and drops it. 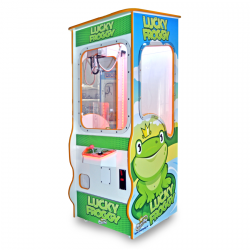 The player can take his prize from the room with the swing window. 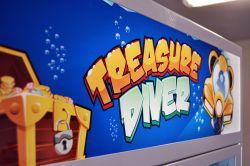 The player has limited time (set in the menu) for controllling the buttons. 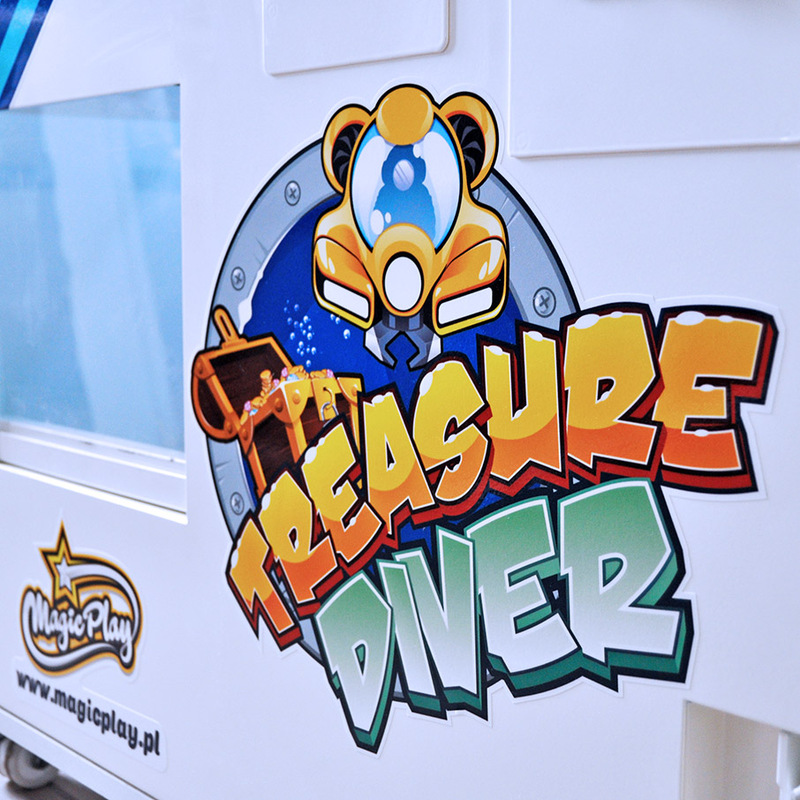 The game electronic board is ready to plug the GSM modem. The innovation used in the Treasure Diver is the rotary wheel with which makes wide, clear view for prizes. 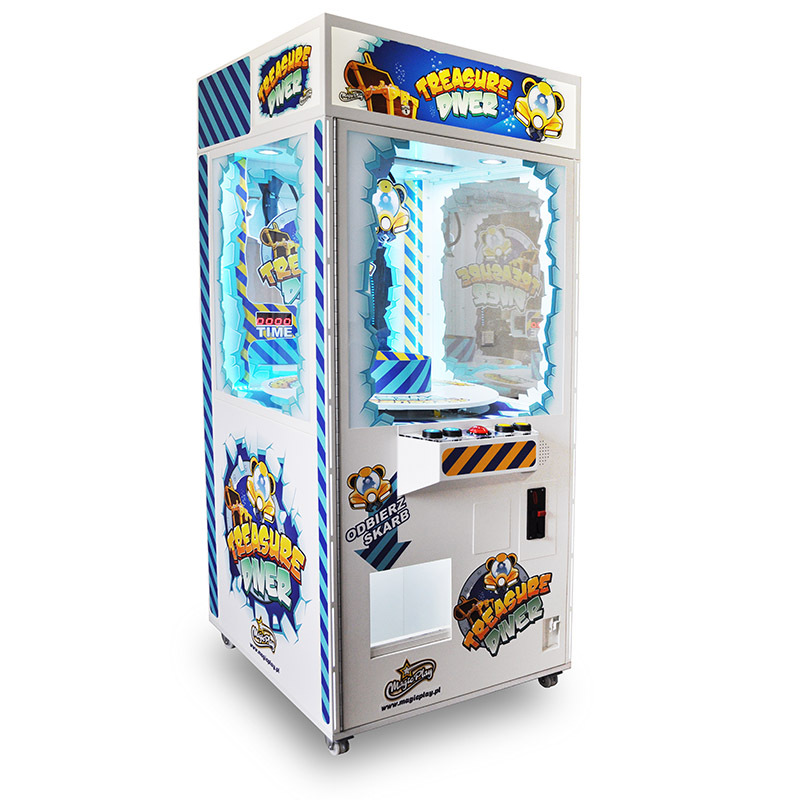 In the demo mode, when nobody plays, the wheel with prizes spins around continously attracts attention of passing by people.